Toronto’s Broken Social Scene today released “Stay Happy,” the fourth song from their upcoming album Hug of Thunder. Led by the vocals of newcomer Ariel Engle, listen to “Stay Happy” here. Broken Social Scene are also excited to announce a run of West Coast dates in addition to their previously announced 2017 tour dates. The West Coast tour, which are their first West Coast shows since 2011, will kick off in Vancouver on October 21 and wrap up in Los Angeles on October 28 with The Belle Game opening these shows. The band has also announced three special performances opening for Arcade Fire in Canada on November 1in Windsor and November 3 and 4 in their hometown of Toronto. A presale for these shows via Spotify will happen tomorrow, Tuesday June 27, at 10 am local time, and go on sale to the public on Thursday, June 29 at 10 am local time. For these dates, Broken Social Scene are partnering with Plus 1 so that $1 from every ticket goes towards providing access to arts education for young people in disadvantaged communities. Click HERE to purchase tickets to all shows. 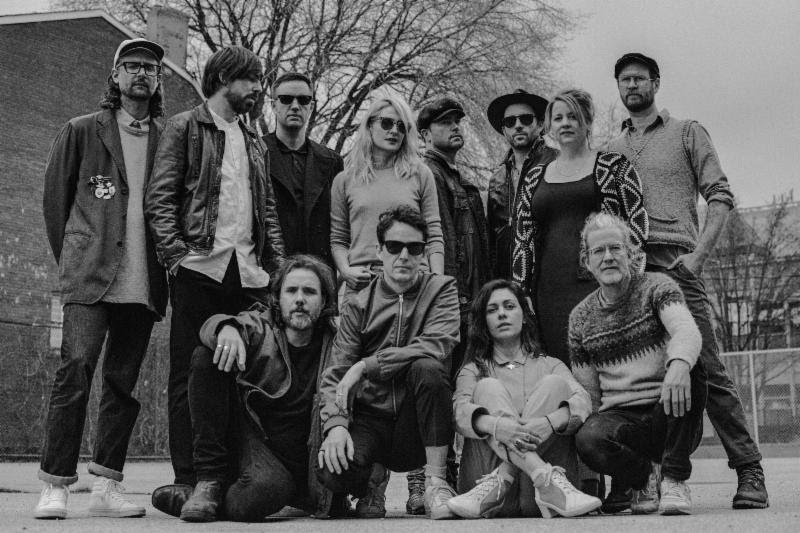 The tour will follow the release of Broken Social Scene‘s upcoming album Hug of Thunder, out on Arts & Crafts on July 7th, 2017. BSS have released three songs from the record to date, listen to “Halfway Home,” ” Hug of Thunder,” and “Skyline” now.